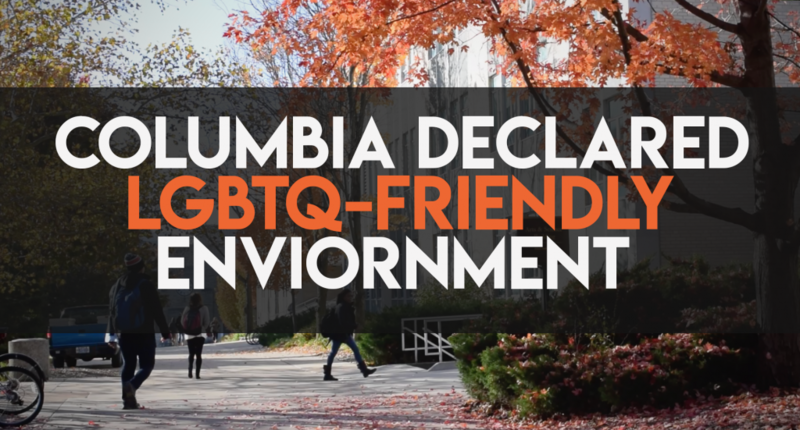 The Human Rights Campaign’s Municipal Equality Index declared Columbia LGBTQ-friendly. The Human Rights Campaign’s Municipal Equality Index gave Columbia, Mo. a perfect rating of 100 in October 2017. The score is determined by how welcoming and safe a city is for its LGBTQ community. This is the first year Columbia received a perfect score, making it one of 68 cities nation-wide to accomplish this. There are many factors that contribute to the rating of the equality index score, according to Zach Rubin, chair of the City’s Commission on Human Rights. The campaign looks at the city’s ability to provide services that are accessible and inclusive, among other aspects, which determines how well a city achieves each section of the report. The City of Columbia’s score increased over the past few years, receiving a 74 in 2015 and a 92 in 2016. According to Sara Humm, public communications specialist for the city, numerous city departments worked to recognize which areas of city government needed improvement. The departments then proceeded to make the changes necessary using the city’s taxpayer dollars. One of these improvements was expanding health care options for transgender individuals, specifically by offering treatment for gender dysphoria among employees who are transitioning. “So that is one thing that we worked with [Human Resources] and our health care provider to make sure that that’s something that we’re including in the benefits that we are offering our employees,” Humm said. Among Columbia’s LGBTQ services offered, community volunteers fund PRISM, a youth LGBTQ center under the Center Project. According to coordinator and member of the LGBTQ community Melina Constantine Miseo, the goal of this organization is to provide LGBTQ teens services they might not normally have access to. While new LGBTQ services have been implemented in Columbia, Constantine Miseo believes the index score did not fully represent portray how effective city services are. Humm believes that while achieving a perfect score is a benefit to the city of Columbia’s work, the true intention of the city’s Commission on Human Rights is to make Columbia more inclusive for minorities. In order to do this, the city worked with the Columbia Police Department and the City Manager’s Office to start initiatives like the implementation of inclusive bathrooms in city official buildings, meaning bathrooms that are gender-neutral. Although Constantine Miseo believes Columbia has made some progress toward a more LGBTQ-friendly environment, they feel steps must be taken to improve LGBTQ services. In particular, they feel therapists must receive specialized training to work with LGBTQ youth and school systems must implement Gay-Straight Alliance organizations and proper name acceptance practices. Columbia’s public schools currently work toward inclusivity with LGBTQ teens by offering some LGBTQ clubs and programs. Like Constantine Miseo, Rubin sees issues within the city.Rubin believes the city faced challenges due to state issues. In particular, the city must abide by state LGBTQ laws, which Missouri is not as accommodating to. “The state has been hostile in a number of ways to the rights of sexual minorities, and that’s something that we can not necessarily control,” Rubin said. The state of Missouri does not protect against LGBTQ discrimination in its state laws despite it being addressed on the federal level. Specifically, Missouri does not have any laws protecting the LGBTQ community from employment and housing discrimination, which other states have. Despite these obstacles, Columbia not only received a perfect score but was featured as a city that has made significant progress in a spotlight article in the Human Rights Campaign’s 2017 annual publication. Humm said there are still ways for Columbia to improve and encourages Columbia residents to make suggestions to the city’s Commission on Human Rights, or specifically, staff liaison Rose Wibbenmeyer.